Providing quality orthodontics to Plantation, Fort Lauderdale, Sunrise, Palm Beach, and Davie and all surrounding Florida areas. Your custom orthodontic treatment plan is designed around your needs and expectations. At Caponera Orthodontics, we greatly appreciate you entrusting us with your patients’ orthodontic treatment. Our sincerest thank you for your ongoing patient referrals. Do you have an Orthodontic referral? 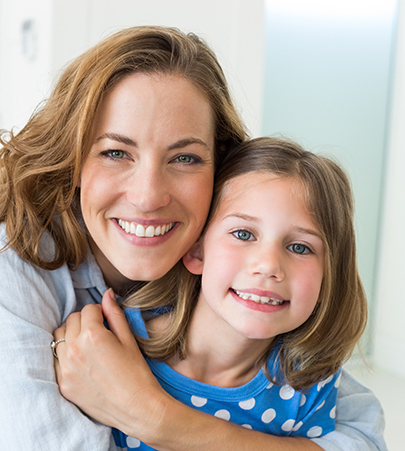 We believe each patient deserves personalized attention, a complete understanding of your treatment decisions, and the best orthodontic care available. Please take a moment to view many of our extremely satisfied patients. We look forward to seeing your smile join our group of exceptional patients. We have several payment plans to suit different budgets. We work hard to make orthodontics affordable. I highly recommend Caponera Orthodontics. Dr. Caponera and staff are not only professional; they are attentive, compassionate, thorough and patient. My daughter's orthodontic work is impeccable and she has the beautiful smile to prove it! I had my braces on for a little over 2 years and I couldn't be happier with my results! They're super friendly and worked with me even though I was away for school. Extremely professional but makes you feel like family. Thank you for my new smile! Dr. Caponera is the BEST around. My teeth had a lot of spacing, before going to Dr. Caponera, but after 2 years of braces my teeth now look great! Dr. Caponera worked so that I would have my braces removed just in time for Christmas and I really appreciate that. The staff are all friendly and a pleasure to talk with, making each visit enjoyable. I always have a great experience at Dr. Caponera's office. Dr. Caponera is incredibly professional, knowledgeable, and personable. I'm so happy with how he fixed my teeth before my wedding. His office is very clean, and the staff are accommodating with scheduling appointments, and even offer some days with later appointment times. Dr. Caponera is Awesome! I had the best experience with his office. I had no problems scheduling appointments, especially those emergencies. Did I mention my under-bite that has been transformed to a new, beautiful, perfectly aligned smile that I get complimented on constantly? Well, I just did! Dr. Caponera and the girls in his office are the most professional and helpful doctors office I have ever been to. I'm not easy to please but this office has always been on time, polite, clean and knowledgeable. Both of my kids have gone here and the work, the attention to detail is the best I have ever seen.